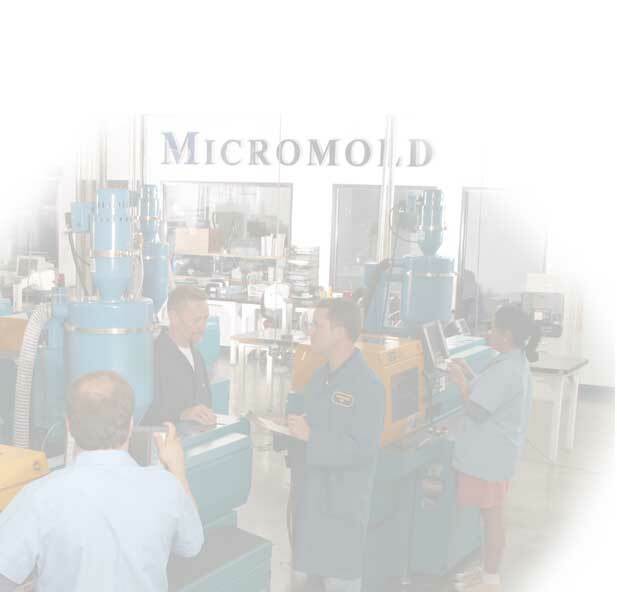 With our extensive experience in plastic injection molding and experienced staff, Micromold has been supplying custom precision parts to the medical, electronic and automotive, industries since 1979. From the initial concept to the finished product, Micromold's team of fully trained and dedicated experts will find the right made-to-measure solution to suit your needs, budget and time constraints. With state of the art equipment, experience molding a wide range of materials from ABS to Zenite®, plus around the clock performance allows us to supply one or millions of quality parts on time as ordered!